THE PRIVACY, SAFETY AND PERSONALIZED CARE OF OUR PATIENTS IS OUR PRIORITY. Our well respected staff and physicians are here for you. At Falls Church Healthcare Center we are dedicated to providing expert, confidential, and respectful healthcare to women and their families. We have a national reputation for providing quality abortioncare in a safe and caring environment. We are a woman-owned and operated center offering gynecological services including annual wellness exams, treatment of abnormal Pap Smear, and IUD insertion. 1 We greet and treat EACH patient with PERSONAL CARE. A one-to-one health educator will answer your questions and review "What You Can Expect" & "Your Recovery". 2 We are passionate about providing faith-based support. Treating the whole person, mind, body and spirit. We accept and embrace all patients. 3 We welcome your supportive family, including your children in our waiting room. 4 You can request to be seen by our FEMALE PHYSICIAN. 5 We are a highly respected medical center by universities for training their residents. 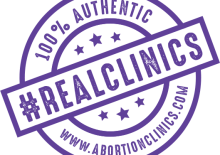 At Falls Church Healthcare Center, we are dedicated to providing confidential and respectful gynecological healthcare & abortioncare to women and their families. We have a national reputation for providing quality abortion care in a safe and caring environment. 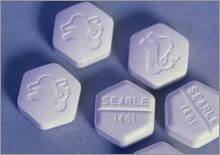 A medical abortion is commonly known as Abortion Pill a SAFE and EFFECTIVE method for an early abortion up to 9 weeks from your last menstrual period. Having an early abortion is a SAFE, EFFECTIVE option for ending a pregnancy in the first 13 weeks and 6 days of pregnancy. An abortion doula is a trained individual who provides emotional, physical, spiritual, and informational support during and after a termination of pregnancy.